An army cadet volunteer has been awarded the gold Duke of Edinburgh Award. Philip Styles, 24, of Pensilva was honoured at a ceremony at Buckingham Palace in May. Philip, or Phil as he's known by friends, was presented his medal at the palace after a welcoming speech by Sophie, Her Royal Highness Countess of Wessex. 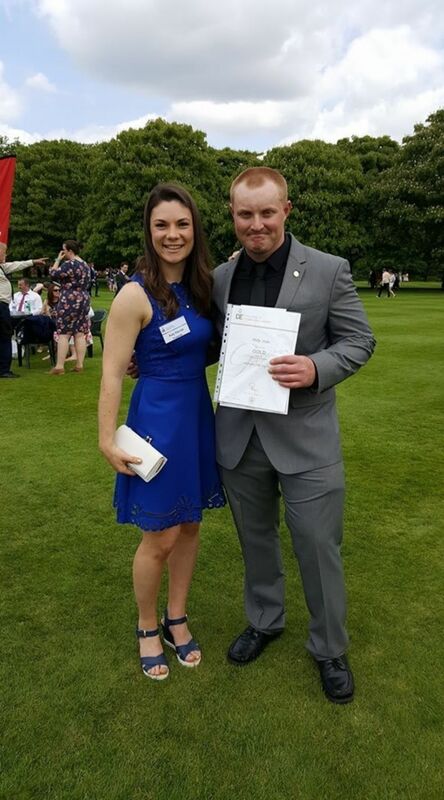 Phil achieved his Gold award while volunteering as an adult instructor with Cornwall ACF. Phil completed his Bronze level award when he was 14 and decided to go for the Gold award when he rejoined the Army Cadets as an adult instructor. The Duke of Edinburgh (DofE) Awards is an internationally-recognised scheme which rewards people between the ages of 14 and 25 for volunteering in the community, taking part in physical and skilled pursuits to better themselves. The ACF has worked alongside DofE since its inception. To achieve his Gold level DofE award, Phil used his volunteering with the ACF, a series of kayaking achievements over 18 months including gaining a BCU Level 1 coaching course, taking part as a leader for a battlefield tour to France and Belgium’s First World War memorials and battlefields, four-day expedition on Dartmoor and earning his Community Sports Leadership course. Most of these activities were done through Cornwall ACF. “I wanted a challenge and develop my leadership skills and was told about the Gold level DofE which sounded perfect," he said. Phil is now a DofE representative for the eastern region of Cornwall for the Army Cadets, using his experience to help cadets to earn their own awards. “I want to share my experience to help inspire cadets and other cadet instructors to develop themselves and be recognized for their achievements by the Duke of Edinburgh Award,” he added.